The 2018 Jeep Renegade is the little SUV that could! Commuting? No problem! Off-roading? No problem! The Renegade offers drivers and passengers both comfort and convenience while making it possible to venture off-the-beaten-path regularly without an issue. New updates for the 2018 model year include new standard features like a rearview camera and a 5-inch touchscreen. As well as upgraded 7- and 8.4-inch touchscreen with Apple CarPlay and Android Auto smartphone integration! 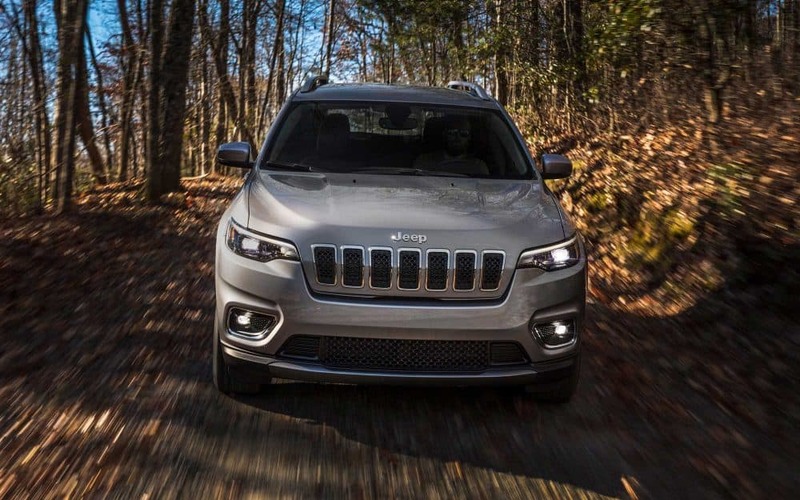 Do you want to learn more about this Jeep's engine options, interior and exterior features, and safety equipment? Then read on! There are two impressive engine options available for the 2018 Renegade! First up is the 1.4L MultiAir Turbo engine that delivers 160 hp and 184 pound-feet of torque. This engine powers the Sport and Latitude models. Jeep pairs this engine with a manual six-speed transmission. The 2.4L Tigershark engine with the MultiAir2 system powers the Limited and Trailhawk models (optional on first two trim levels). MultiAir technology helps this engine reduce emissions and produce maximum power! This engine creates 180 hp and 175 pound-feet of torque. The EPA gives this engine an estimated fuel economy of 31 mpg on the highway with 2WD. Jeep pairs this engine with a nine-speed automatic transmission. When it comes to towing the Renegade can max out a 2,000 pounds when properly equipped with the 2.4L engine and 4WD. There are three 4x4 systems available for the 2018 Renegade. Jeep Active Drive is available on all models while Active Drive Low is reserved for Trailhawk models. What are some of the features for the 2018 Renegade models? The Jeep Renegade is offered in four trim levels for the 2018 model year. The entry-level Sport model comes with features like 16-inch wheels, Bluetooth, remote locking and unlocking, USB port, push-button ignition, a tilt/telescoping steering wheel, a rearview camera, a removable cargo floor panel, a fold-flat front passenger seat, cloth upholstery, power windows and locks, a 5-inch touchscreen, and a rear seat with 60/40 split folding. Jeep offers three option packages for the Sport model: Sport Appearance, Power & Air Group, and Uconnect 7.0. Upgrade to the Latitude model and you'll gain the contents of all three packages, as well as a leather-wrapped steering wheel, automatic headlights, fog lights, and one more USB port. The Altitude package is available for this trim level. Next up is the Limited model which adds features like keyless entry and ignition, an auto-dimming rearview mirror, automatic wipers, a 115-volt outlet, heated steering wheel and front seats, rear seat with 40/20/40 split folding and center pass through, leather upholstery, and more. The off-roading Trailhawk model. Features include hill descent control, all-terrain tires, skid plates, a raised suspension, full-size spare tire, tow hooks, and all-season floor mats, and that's just the start! There are a ton more packages and stand-alone options available for the 2018 Jeep Renegade. Jeep offers an abundance of safety and security features for the 2018 Renegade to provide you with peace of mind and confidence when out and about! Standard features for all four trim levels include seven sophisticated airbags, a tire pressure monitoring display, speed sensitive power locks, ParkView rear backup camera, a locking glove box, panic brake assist, occupant detection system, LATCH system, electric power steering, a front passenger seat belt alert, electronic roll mitigation, electronic stability control, electric park brake, and anti-lock 4-wheel disc brakes. There are many more advanced safety and security features available as you upgrade to higher trim levels. The 2018 Jeep Renegade is one unique SUV offering memorable style both inside and out as well as off-roading chops and tons of modern technology touches. Come on down to the Speedway Chrysler Dodge Jeep Ram to check out the Renegade in person and even take it out for a test drive! Want to make an appointment for sometime in the future? Give our sales department a call or fill out the contact form supplied below!